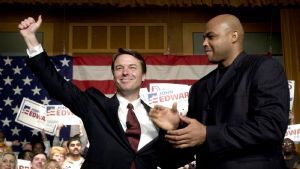 John Edwards ran a great campaign for President. No candidate spoke more about important issues like poverty. Yes, he'd make a great vice-president. But I'd rather see him as the next attorney general. America owes him a big thank you for his contribution to this race.